So the Infinity Gauntlet is the most powerful weapon in the Marvel Universe. But can it make ice cubes? Now it can, with this 6"x8" silicone tray that makes ice cubes in the shape of the Gauntlet itself! 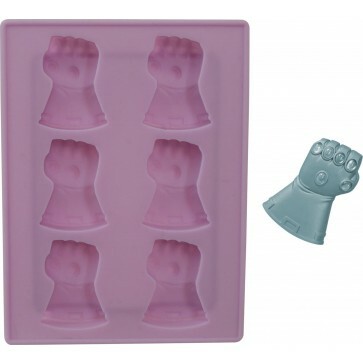 Or you can fill it with chocolate to make tasty treats that would make even Thanos's mouth water! Packaged in a full-color window box.